AviaAM Leasing, a global aviation holding company engaged in commercial aircraft acquisition, leasing and sales, has announced that its joint venture with the Henan Civil Aviation Development and Investment Company (HNCA) – AviaAM Financial Leasing China – has recently delivered a brand new Boeing 737-800 aircraft to its first client in China – Okay Airways. On 21st of September, an aircraft MSN 61407 from assembly line in Seattle, the United States, flew to the Zhengzhou, China, where was officially delivered to the operator. Since now Okay Airways will operate a 186 economy seats configured aircraft with 2* CFM56-7B26 engines for the next 12 years under the operating lease agreement. “New partner from Chinese market opens the doors to a rapidly growing and highly perspective market. We are extremely pleased that our Joint Venture is growing so fast, bringing in reputable partners with long history and vast fleets. 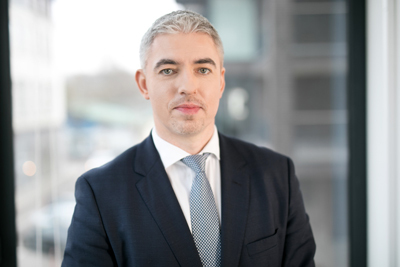 This shows that our experience in the industry is already being recognized in Asian market, thus allowing us to spread our know how and expand our operations even more in the region,” – says Tadas Goberis, CEO and Chairman of the Board of AviaAM Leasing and Board Member of AviaAM Financial Leasing China Co., Ltd.
“Mutual project with a trustworthy leasing partner in the market is an exquisite opportunity for us. 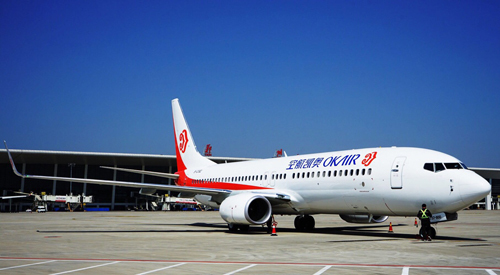 The great growth, portfolio and international evaluation of the company are the main things that our Airline values, hence we are happy of the smooth flow of the project and see much synergies and potential to work together in the future”, said Li Zongling, President of Okay Airways.